FACD began work on this project with a feasibility study aimed at finding a new home for the Dance Department at Smith College in Northampton, MA. 47 Belmont, a former residential house located on accessible routes to the dance studios in nearby structures, was determined to be the most suitable location. A new porch was designed to reach out with a welcoming link towards Mendenhall Center for Performing Arts. The first floor is fully accessible and houses the department administrative assistant, a conference room, and a co-working space. 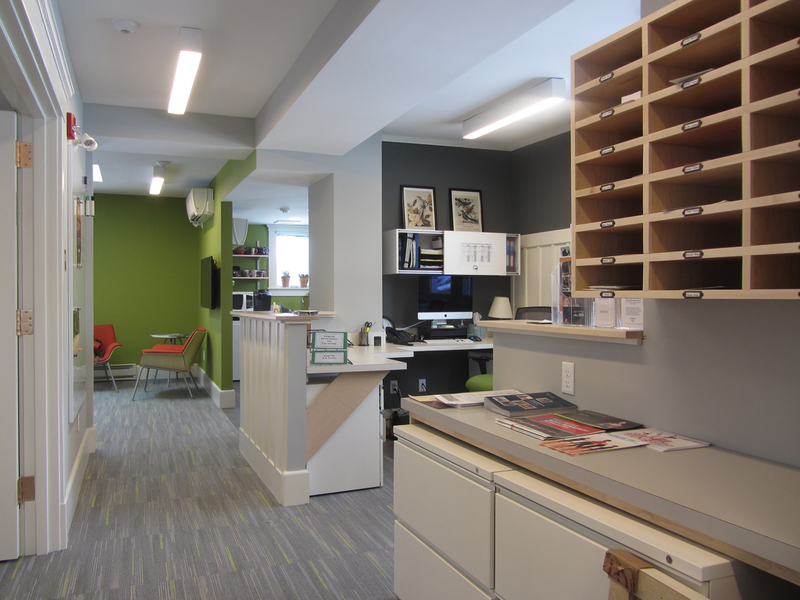 Successful applications for numerous variances were made to the Massachusetts Architectural Access Board (AAB), allowing for alternative accommodations on the first floor, rather than a lift.